"Given its list price the S90 T8 is not a realistic alternative to a diesel-powered executive saloon, especially for high mileage drivers. " 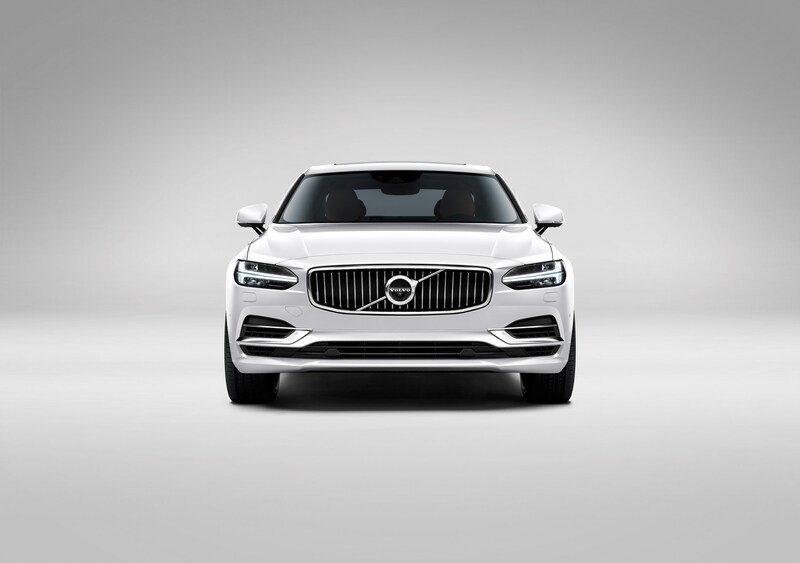 It was only a matter of time before Volvo’s T8 plug-in hybrid powertrain from the XC90 and XC60 made its way into the S90 saloon, as all three share the same basic platform. As in the two SUVs the T8 develops an impressive 407PS as a result of its two-litre four-cylinder petrol engine receiving extra grunt from a turbocharger, supercharger and electric motor. Emissions-free motoring is easily achievable for a range of between 20-25 miles. We tested the car in the middle of winter and its electric range was hampered by continued use of the heated seats, steering wheel and windscreen. 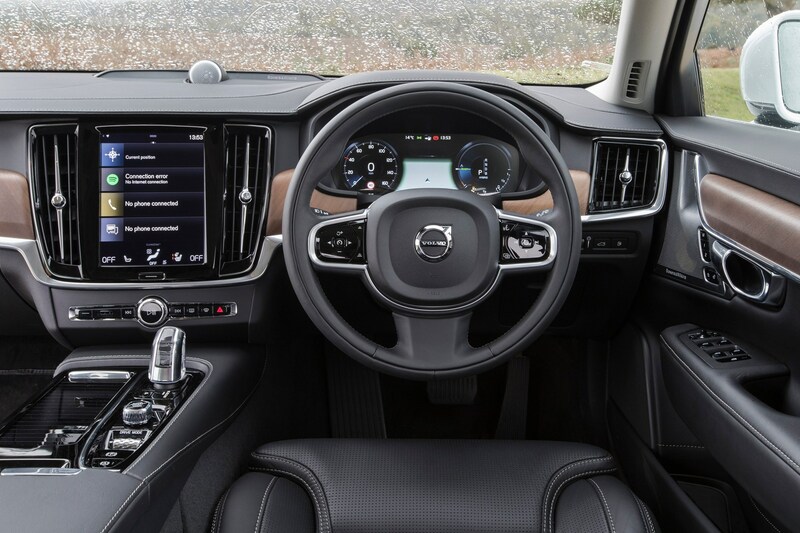 Still, with a full tank of unleaded the S90 T8 can cover a realistic range of between 300-350 miles – averaging anywhere from 28-50mpg dependent on how many times you stop to charge. Longer trips put more reliance on the engine and if there is nowhere to top up the batteries at your destination then expect a painful drop in average fuel consumption. 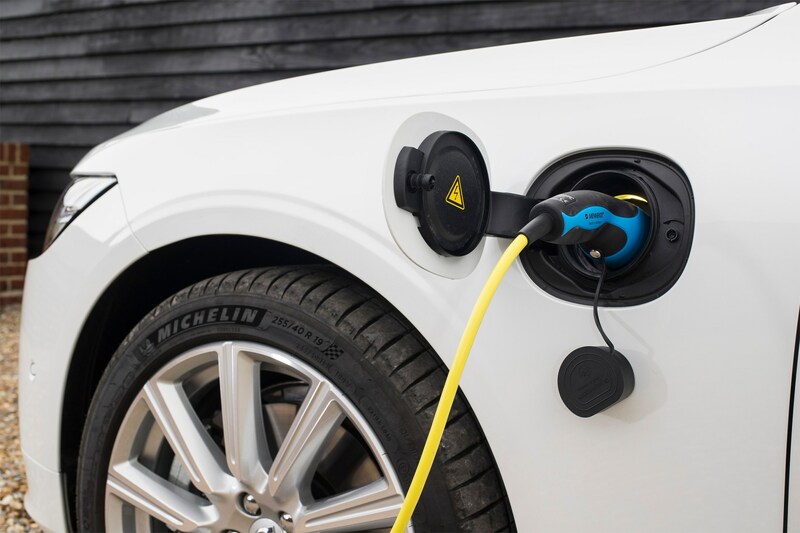 However, drivers who commute up to 20 miles per day with workplace charging will realise an entirely different experience, effectively using no fuel at all. The S90 T8 can travel at more than 70mph on electric power alone – if you are gentle with the throttle. The front wheels are driven by the petrol engine through an eight-speed automatic gearbox, while the electric motor sends power to the rear wheels. 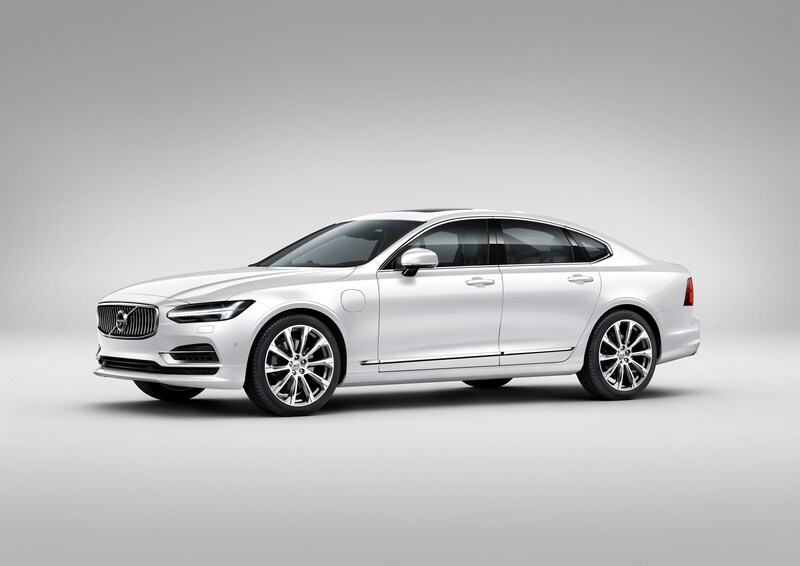 This means the S90 T8 has all-wheel-drive (AWD) – useful during the aforementioned winter period, where it tackled ice- and snow-covered roads with ease. An on-board charger can keep the battery charged, when required, but we found this had a heavy impact on fuel consumption. 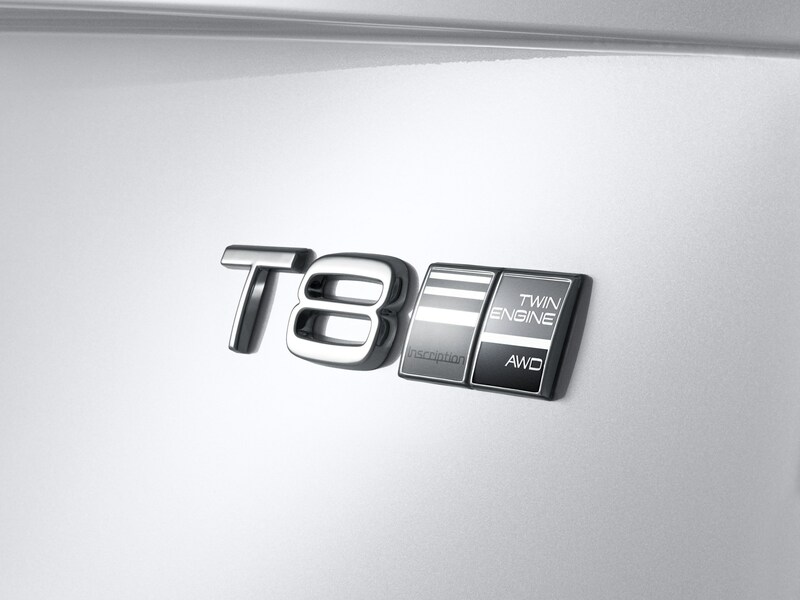 Like the rest of the S90 range the T8 is refined, quiet and luxurious. It doesn’t deliver a particularly dynamic drive although we found the optional (£1,500) Active Four-C Chassis with rear air suspension and adaptive dampers gave the car a more nimble feel. 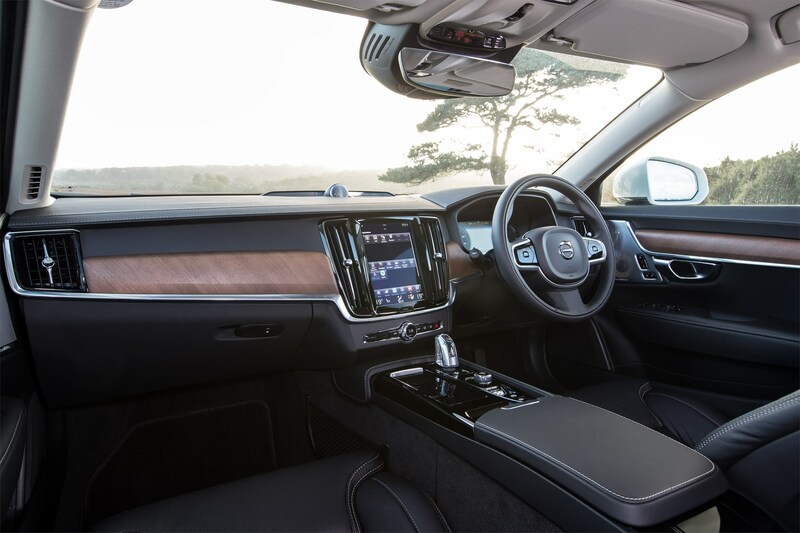 The range-topping Inscription Pro trim adds electrically adjustable heated and ventilated nappa leather seats with a massage function, 20-inch alloy wheels and keyless entry to the S90’s already generous specification. It costs from £57,705 (on the road) which is significantly higher than top-spec versions of its main competitors – the BMW 530e and Mercedes-Benz E350e. CO2 emissions of 46g/km, however, mean the 40% taxpayer will only pay around £170 per month in benefit-in-kind (BIK) tax – £26 more than a BMW 530e M Sport driver, a reasonable hike for the extra pace and equipment. 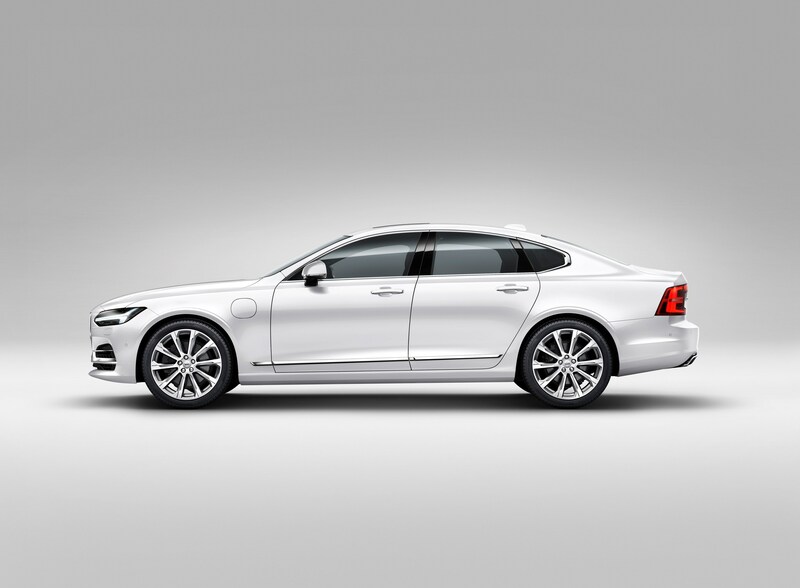 Compared to a diesel-powered S90 the BIK reduction for is significant, saving £7,172 over four years (40% taxpayer). 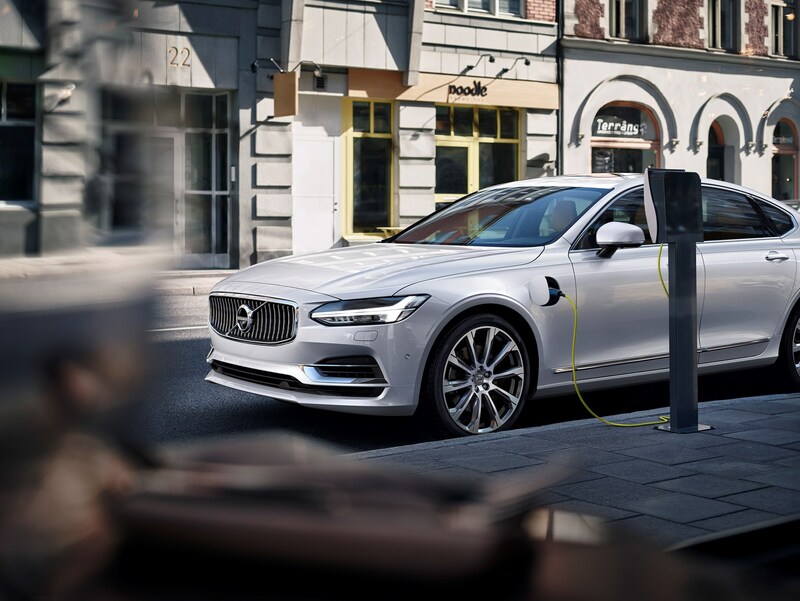 As for running costs the more expensive and more powerful Volvo loses out to both its rivals by up to 6ppm. The caveat here is that proper utilisation of the hybrid system, on any of these cars, will have a huge impact on actual running costs. Given its list price the S90 T8 is not a realistic alternative to a diesel-powered executive saloon, especially for high mileage drivers. Its BIK advantage and performance make it a stellar alternative to the high-performance models company execs usually opt for.